2 bedroom apartment 50 $ / Yalta / 5 , Morskaya Str. A luxury, 2 bedroom apartment in two levels perfectly located in the heart of Yalta. Skylight. Balcony with the wonderful view to the sea and mountains. 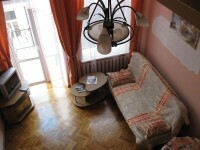 2 bedroom apartment 60 $ / Yalta / 9/2 , Karl Marx str. Truly high-class property! 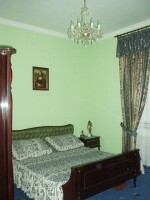 A spacious, luxury, well-maintained apartment located in the heart of Yalta. It has everything you may need during your stay: air-conditioning, washer, telephone and more. Three minute walk to the sea.